Why is SXSW EDU a Conference AND a Festival? You may have noticed that we refer to SXSW EDU as a Conference & Festival. Conference is a familiar term for education professionals, but festival may seem more removed from learning or solely associated with entertainment convenings. Here’s where it comes from and why we celebrate our festival learning experiences alongside our conference. South by Southwest has grown over the years from a music event into a family of conferences and festivals that help creative people achieve their goals. Spanning many sectors with a universal focus on creativity, what unites the varied SXSW events is our unique approach to the attendee experience and a commitment to bringing together people and ideas to drive impact. At SXSW EDU we’ve taken our history to heart, applying many of the learnings of over 30 years of SXSW to create a distinctive convening that brings together leaders from across the learning landscape. In homage to SXSW Film we created a film program of narratives and documentaries focused on some of the most pressing issues in education. We all learn in different ways and through our celebration of film as an effective communication tool, we look to elevate film as a medium for learning. Many of the films are followed by a Q&A with the filmmakers to dive into their ongoing work and bring the screen experience to a real-life conversation. Showcasing the next wave of innovation in learning, be it with students, design or entrepreneurialism, is an important part of any event. One way we do this is through a series of pitch competitions. Our longest running competition is Launch, which features early-stage education-focused companies. As the entrepreneurial spirit has become a growing part of the curriculum, we added the Student Startup competition to highlight local high school students building companies. Finally, our newest competition is Learn by Design, where design solutions for learning spaces are presented. Discovery is key! At the end of the day, we want to get our hands on what’s next and new in education, and experience the future of learning for ourselves. From new technology to DIY projects, the three exhibitions – Learning Expo, Innovation Hub and Playground – are designed to connect creators with users and open a dialogue about how to collectively advance teaching and learning. Our newest addition to the event is our performance series. Not only does performance serve as a creative outlet for youth expression, but it’s also a proven vehicle for deeper learning. Throughout the event we host a series of performances ranging from theater to music to spoken word showcasing the power of engagement, and then follow each performance with a workshop on how to apply the concepts to create effective learning experiences. Each of these festival programs contributes the unique experiences available at SXSW EDU. We integrate them throughout the broader conference and connect them to the overarching tracks that frame up the program. Your time at the event is not complete until you’ve experienced some or all of these offerings. The good news is that while we’ve concluded PanelPicker, we’re still accepting applications for all of our festival programs. Are you inspired to screen, compete, demo or perform? Visit our participation page to learn more. As always, let’s keep the conversation going. Feel free to reach out to me at greg@sxswedu.com and we’ll continue to develop your SXSW EDU experience. 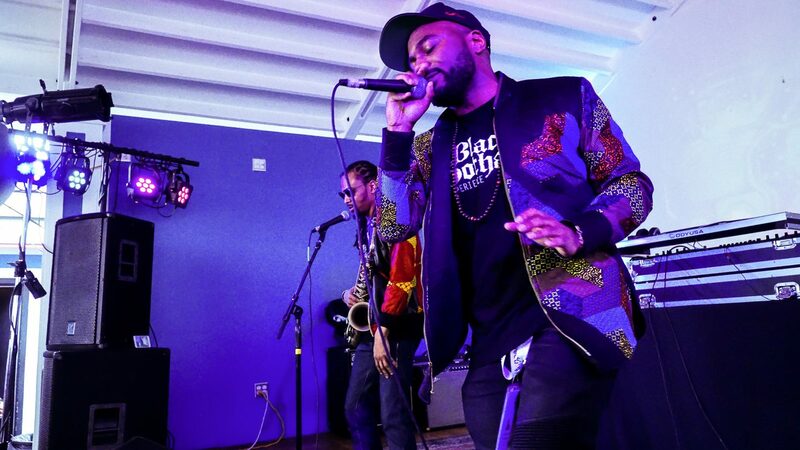 SXSW EDU performance, Rapport Studios presents: Soul Science Lab and Friends. Photo by Ziv Kruger. As the SXSW EDU General Manager, I'm involved in many aspects of the event from programming and production to marketing and messaging. I've been working on the event since it first launched and love every minute of it. When I'm not consumed by SXSW EDU, you can find me playing music around Austin, running or adventuring in the outdoors.